Download CPU-Z. Go to SPD tab you can check who is the manufacturer of the RAM. More interesting details you can find in the CPU-Z application. 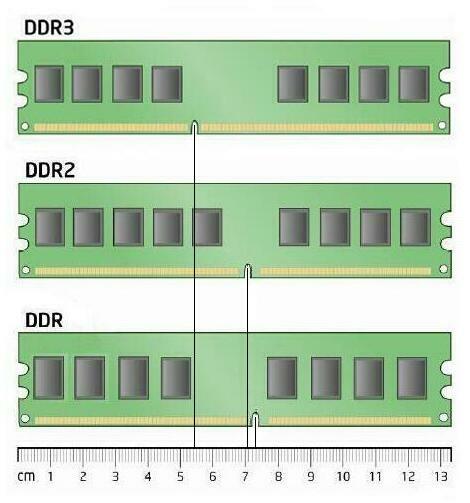 DDR stands for Double Data Rate Ram. 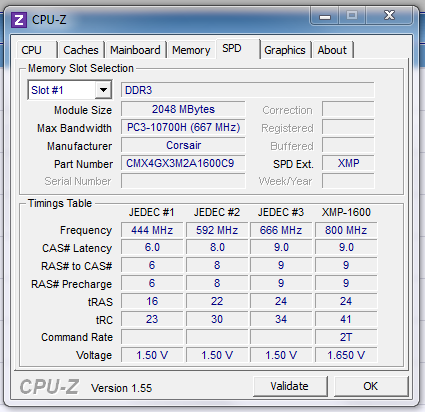 With respect to speed the DDR2 has 400 MHz, 533 MHz, 667 MHz, 800 MHz, 1066MT/s and DDR3 has 800 Mhz, 1066 Mhz, 1330 Mhz, 1600 Mhz. DDR3 memory promises a power consumption reduction of 30% compared to current commercial DDR2 modules due to DDR3's 1.5 V supply voltage, compared to DDR2's 1.8 V or DDR's 2.5 V.
Graphics cards need fast data transfer between frame buffers. So the higher bandwidth capabilities of DDR3 are useful. Just get a chart of RAM and compare with your RAMs. There are notches on the RAM which are at different locations for different types of RAM.